This is how my new chapter of 2018 began! On January 8th I won a SHARE Scholarship to study in Myanmar for one semester and I have been there for three months from January 8th 2018 until April 4th 2018, which is the day I left, and I wish I could have stayed longer! That is where God created a new chapter for my life on New Year Eve. I couldn’t be more thankful to him and everyone who leads my way including my family, my teachers, all the people who are working at the ESOMAR Foundation and WIRE who helped me reach one of my wishes that is to at least travel once in my life. But now after my first experience I actually want some more. This reminds me of my teacher Ms. Kerry Slattery who once told me that you get addicted when you have traveled once! It’s never enough because that experience is changing you in some way like being more cheerful and happy in life, you meet new people and make new friends and your life would never be the same without making new friends and experience new things. From that persuasive phrase from my teacher I started to view life from a different perspective. Then lately I started questioning myself, what is life without moving? It’s nothing without moving because you will be stuck in the same place, same zone, and probably your comfort zone. This experience has changed my thoughts and my perspective, as well as my view from being pessimistic and become more optimistic. Honestly, this is the first time that I really broke out of my comfort zone and stepped into a real world. Travelling alone is the scariest thing I decided to do and would like to thank my mom and my family for supporting me to reach my goal. Travelling alone at just 19 years of age has built up my confidence to step out of my comfort-zone and explore my life. These 3 months have been amazing and more than what I had expected! During these 3 months I met new people, made new friends, and I survived in my new environment even though there were some difficulties at first with the foods texture, ingredients, and smell. I ate both Myanmar food as well as Indonesian food as I was staying with Indonesian students and they were like siblings to me. They always cooked me Indonesian food and I was quite ashamed as I rarely cooked for them any Khmer food (Cambodian food) as our ingredients are rare and hard to find in there even though we are Asian, but we are not the same because we are unique in our own ways. 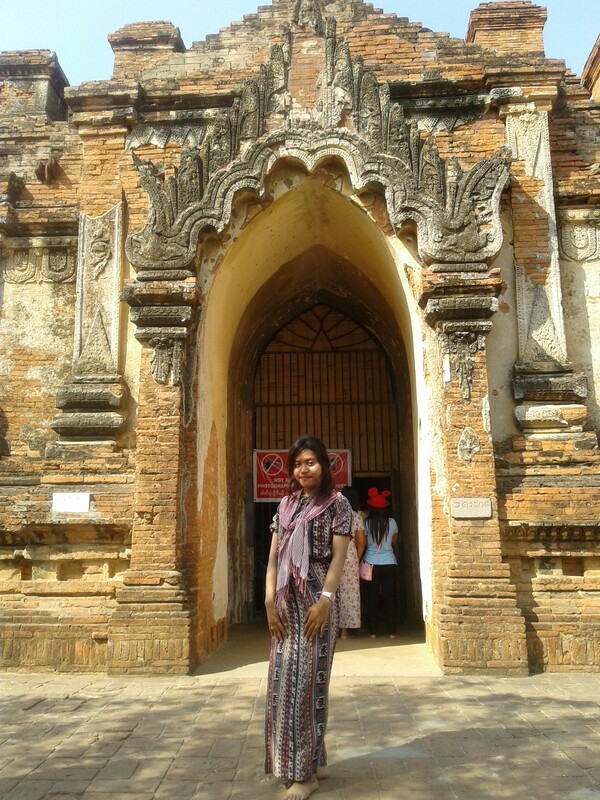 It was more interesting when it came to religion because in Myanmar it is allowed to embrace many religions. I have now many friends from different religions such as Baptists, Catholic, Buddhists, Muslims. It is quite interesting to get to know and understand and observe the inner behavior of each of my friends from different places and different religions and different languages. This experience has been an important part of my exploring. During those 3 months I haven’t really stayed in contacted with my family or friends in Cambodia because the Internet connection was really bad, so I wasn’t able to call home often and haven’t really kept up with what’s going on in social media, but it was a nice experience being able to stay away from social media and really connected to people around me physically. 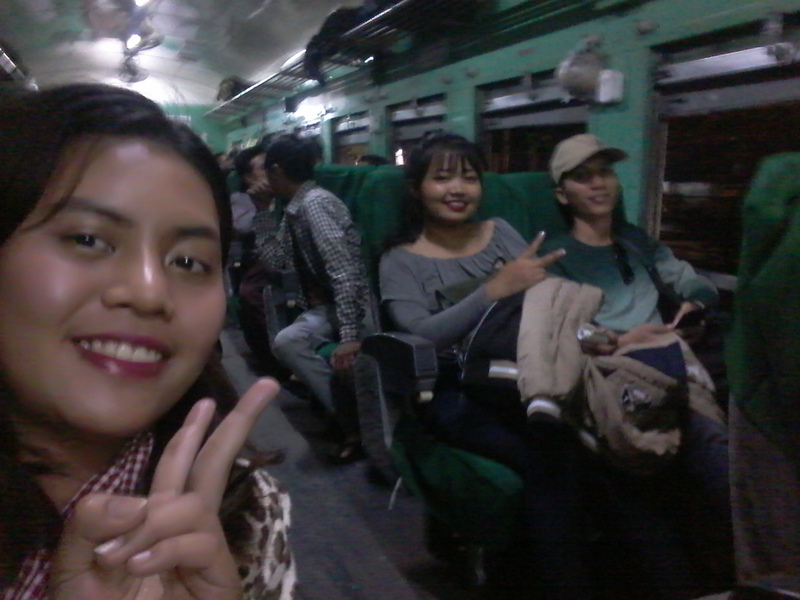 I’ve been spending time with my Burmese, Indonesian, Korean, and American friends, discussed about our experiences and exchanged our knowledge, we ate dinner together and cooked for each other and went out and explored Myanmar together which helped make me make new friends almost every day. On the other hand, I want to talk about the difference between Cambodia and Myanmar in the way people worship Buddhism. In Myanmar I have seen people going to pagodas to worship their gods everyday as we all know that Myanmar has thousands of temples. In Cambodia people don’t go to worship in Buddhist temples everyday. I have a relative who practices Buddhism so I learned a little about this fact as I see my relative go to temple to worship his gods only on what is called the “holy day” or on special occasions such as Khmer New Year, Pchum Ben, or Visak Bochea Day and many other days, but as I have mentioned above that it is not every day as in Myanmar. It is my own observation and experience so only if you experienced it yourself you would know what I am saying is true or false, but based on my own experience I can prove myself 75% right at this point. Anyway, this is not about making a declamation about religion; it is just what I have learned from being there which helped benefit my knowledge in observation and understanding and seeing something different from my own country. People in Myanmar speak many of their own ethnic languages which I can’t understand but I could still communicate (half of the Burmese now can speak a little English including some taxi drivers and food sellers at the supermarket). It is amazing how sometimes me and my Indonesian friends walked across the local food stores and the sellers were not able to speak English, but we could still communicate and buy food by using our body language and we have even learned a little Burmese! To pay we usually opened our phone calculator for the seller to type the price (because it is a local food shop, street food so there is no price tag). When I look back at those moments I feel amazing and proud of all people who are able to communicate to each other no matter how hard it is and this is the amazing fact about our human being that I admire most. Lastly, I would describe Myanmar as an amazing country even though it has been through a hardship of political background and damaged but it never gave up and it keeps on growing and developing. I am full of admiration of the country and the people. They are so friendly and so hospitable and food is somehow delicious. The thing that I love most is the beauty of their nature. In some places it is the best thing I have ever seen! I would like to recommend anyone who would like to visit Myanmar, to go to Mandalay, Bagan, Shan State (Innlay Lake, where they speak a language similar to Thai), Yangon, Chin State, and if possible also Kachin State but a little dangerous as there is a conflict still going on and a small war in that region, so better do some research about the situation first before heading to visit there, but it is such a nice place. I have friends who live there and they told me that they also have snow in December. This place is on my bucket list and I definitely want to visit there some day not just for the snow but for many other beauty of nature they have there, including the Heart Shape Lake (can research in Google), some of the other beaches site which are really, really wonderful. For this truly amazing experience I would like to thank the ESOMAR Foundation and WIRE who sponsor me in the first place to be able to study at National University of Management and so I could apply for the SHARE Scholarship to go to Myanmar. I would also like to thank all the teachers who helped lead the way. Without all of you I wouldn’t have had such an amazing experience. Thanks everyone so much for helping me to accomplish my education and help me chase my dream and get a better life. I really appreciate everyone and everything, and thanks God for everything.